Happy news for the iPhone users! 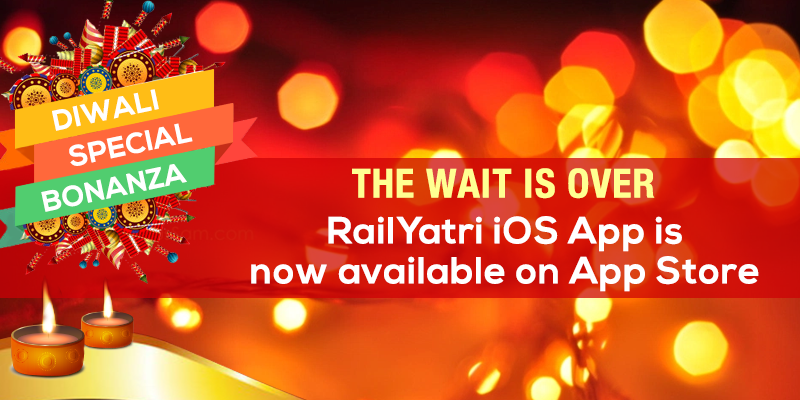 The RailYatri iOS app is now available on the App Store. The launch right before Diwali came in as a big surprise gift adding excitement to the festivity. RailYatri believes in simplifying train travel for passengers with proprietary data -driven algorithms & predictive analysis. And adding iOS app would help reach out to the larger community and connect with users of all categories. Download now and enjoy the iOS experience!